"David, you go into goal…"
02.06.2010 - After 22 years and more than 70 titles on club level outstanding Spanish goalkeeper David Barrufet ended his career. 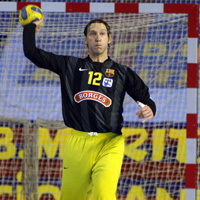 09.02.2010 - The FC Barcelona Borges goalkeeper will retire this summer. 01.09.2009 - Two top goalkeepers left the club during the summer.